The official history of the Churchills can e easily found on the internet. I believe that my collection is the one of the most extensive Churchills collections in existence (if not the most extensive), so be patient to read until the end and discover the amazing gallery of pictures on the right. I'm almost sure that even some of the group members never saw some of these items before. Since my main interest is in their international success, I do not cover here their local work with other Israeli artists such as Arik Einstein, Oshik Levy, Pupik Arnon etc. 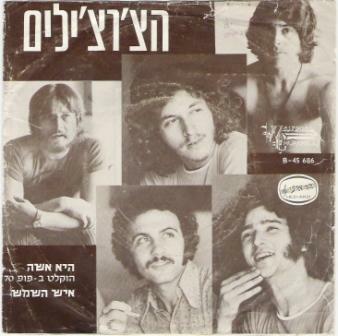 (even though these are great materials and milestones of Israeli rock music). 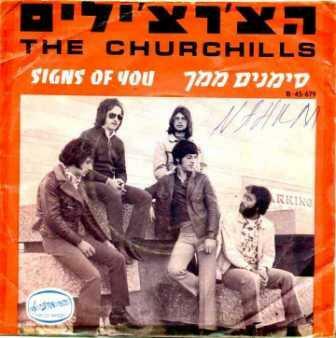 The Churchills are Israels leading 60's rock (& progressive) group. 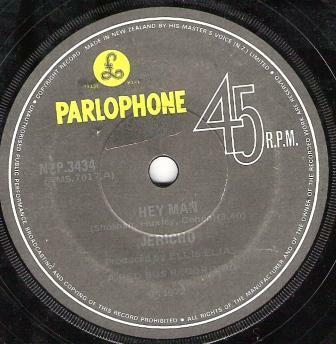 They started playing in 1965 in small night clubs, mainly covering hits from the international music charts. Slowly, they started playing their own materials. 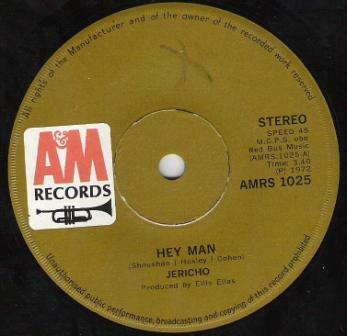 In 1968 they had their first single - "Too much inlove to hear" (CBS 3687), which was released by CBS (Israel). It was a poppy song which became a hit on the charts but it has nothing to do with their later musical style which was much heavier. From this point it was much easier and in 1969 they released their first LP (Hed Arzi, BAN14106), a rare achievement for a progressive rock group. 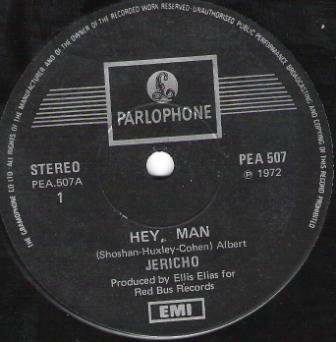 The album didn't sell well and it is the rarest record ever pressed in Israel. One dealer claimed in an article about the return of vinyl records some years ago that on the rare occasions that an original copy turns up, it sells for $2,000. This is a high price tag. If the item is in EX condition, it might reach this price but to be more realistic, a $1,000 - $1,500 price tag is appropriate, depends on the item's condition. The highest known price ever paid for an original copy of this LP was $4,000, but this was for a perfect 10, mint, shining, "must wear shades" never played condition copy. 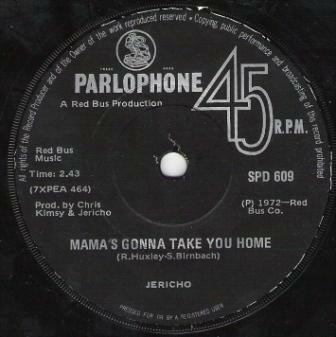 In the beginning of 1971 the group left to England to record their second album. 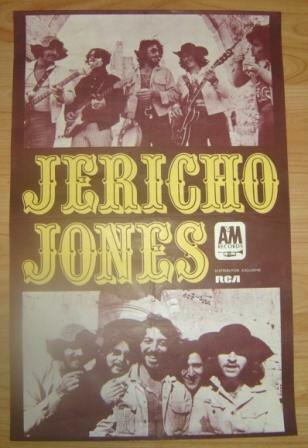 They thought that their name wouldn't be accepted in Church ill's home land so they changed it to Jericho Jones - a combination of east & west. 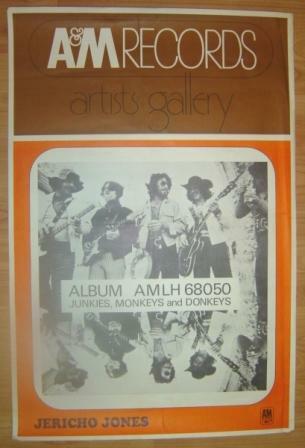 The line-up for their second album - "Junkies monkeys and donkeys" was a little different from the one on their first album. The music on the new album was more psychadelic than in the first one. 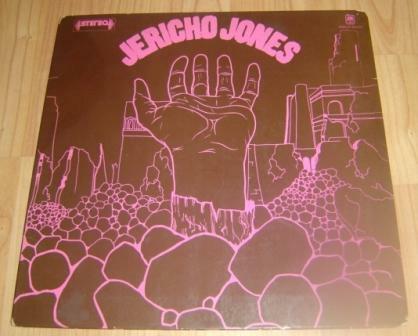 The album was pressed in England with a gatefold cover and I know that it w as exported to Germany too, with a sticker with the German catalogue number on the UK one but I never saw it. It was also released in Israel & France. The Israeli version of this album was released in a single sleeve and a title in Hebrew and not with gatefold cover like the UK release. The French version comes in a beautiful different black/purple gatefold cover that rare turns up for sale for 200 - 250 euros. 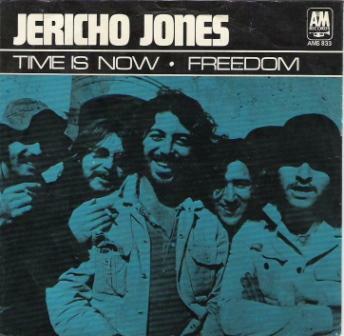 One single, "Time is now" was released from this album in England, France, Italy, Germany, Netherlands & Norway (or maybe Sweden/Denmark), all came in great picture sleeves except of the UK release. 2 more items that deserve mentioning and I believe that appear here for the first time are Jericho Jones acetaes. I can confirm the existence of 2 different 10" acetates. 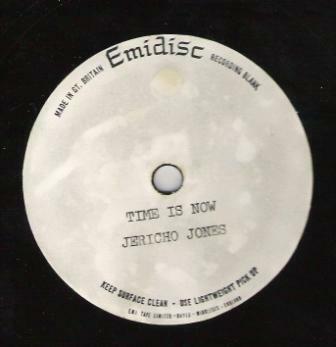 One is for "Time is now" that has a very long intro taken from a movie or TV series (not appearing on the LP version or any of the CD reissues). The other acetate is with unreleased material, I think it has 2 tracks on it but I don't have any more information about it. In the begining of 1972 the group released their third album, second one in the UK. 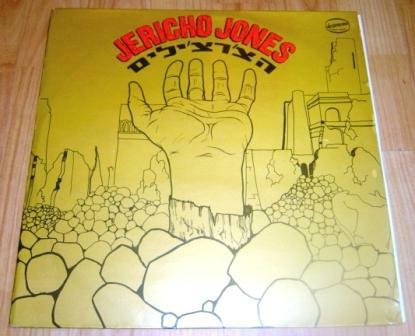 They used the shorter name "Jericho" and in my opinion, this is their best album and one of the best progressive albums ever recorded by a Israeli artist. The album wasn't succesful and it took a year or two until the group broke up. During these 2 years, the group toured in South Africa and the line up has changed. Except of the UK, this album was released in Italy with a different cover and South Africa (!!!). 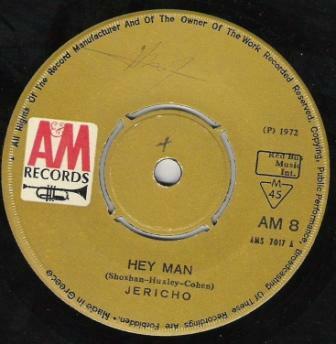 Hey Man - this is the group's most popular single. It was released in Germany (with PS), Italy (with PS), Greece, Singapore (!!! ), Australia (!!! ), New Zealand (!!! ), South Africa (!!!) and UK. Used "Champs" for B-side. Love love - released only in France, with PS and used "Champs" for B-side. There might be other releases but I never heard of them.